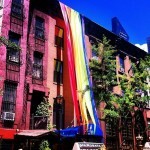 Yale Gay and Lesbian Alumni/ae Association, Inc.
SAVE-THE-DATE: Friday, July 19, 2019. FREE entry, 2-for-1 wine, beer & champagne 6 - 7 PM Come join in a Yale + All-Schools LGBT GALA Mixer. A great night! SAVE-THE-DATE: Friday, January 24, 2020 FREE entry, 2-for-1 wine, beer & champagne 6 - 7 PM Come join in a Yale + All-Schools LGBT GALA Mixer. A great night! NYC: SHE- SAGE's 3nd Annual Women's Event at Mezzanine! SAVE THE DATE Join SAGE for SHE! - celebrating women. SAGE's 3nd LBT women's cocktail party. Tickets $60+. Sponsorships $150/person ($250 for 2). Most tax-deductible Includes open bar cocktails, wine & beer plus light food At the swanky MEZZANINE! Join us for an LGBTQ Ivy-Plus All Schools Mixer at Handcraft in Kip's Bay (367 3rd Ave, just below E 27th St). Happy hour specials until 7 PM. The GALA Alumni group will be in the back room. No cover, cash food & drinks. NYC: "Proust and His Lesbians: Worlds of Lily de Gramont & Natalie Barney"
LGBTQ Gay Winter Happy Hour at the Solas in the Lenox Hotel, Copley Square. (710 Boylston, Boston, MA). Ivy-Plus, everyone welcome, tell your friends. No cover, cash bar, ok not to drink. 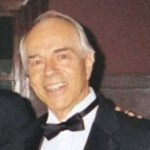 Memorial Service for Robert Lueze, a Yale GALA founding member, Saturday, March 2, 2019 2:30 - 3:30 PM at Friends Meeting House, 12 Rutherford Place (@15th Street), Manhattan. All are welcome to attend. NOTE DATE CHANGE to Friday, Jan 25, 2019. FREE entry, 2-for-1 wine, beer & champagne 6 - 7 PM Come join in a Yale + All-Schools LGBT GALA Mixer. A great night!